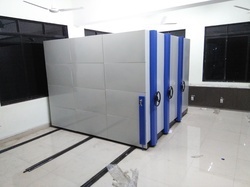 We are the leading Manufacturer of Warehouse Racking System, Mobile Rack Storage System, Heavy Duty Rack System, Display Rack, Glass Display Rack and many more. 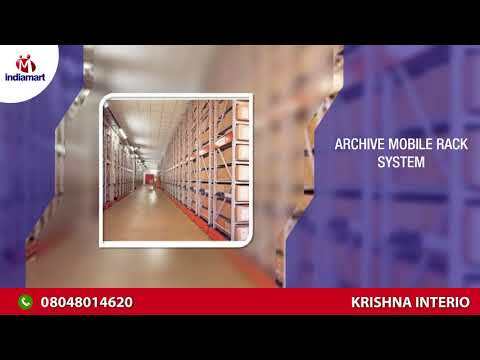 Established in 2014, we "Krishna Interio" engaged in Manufacturing of Warehouse Racking System, Mobile Rack Storage System, Heavy Duty Rack System, Display Rack, Glass Display Rack. These products are known for their features like optimum strength, perfect finish, durability, strong construction, low maintenance and best quality. The offered products are manufactured by our skilled professionals using the latest technology and quality tested raw material in total conformity with the defined industry standards. In order to meet the specific needs of our clients, we provide these products in several specifications. Owing to the efforts of our skilled professionals, we have been constantly engaged in offering a qualitative assortment of products. We have appointed team of professional, who work in close-coordination with clients in order to meet their requirements within promised time-frame. Our quality experts check these products on different quality parameters to guarantee their quality. For our team members, we organize training sessions and workshops at regular interval to increase their skills and knowledge. 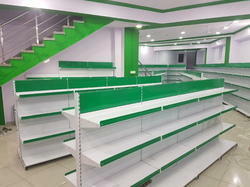 With the help of our ultra-modern infrastructural unit, we are engaged in providing a qualitative range of products. We have categorized our infrastructure into several sub-departments like procurement, manufacturing, quality testing, R & D, warehousing & packaging. This infrastructural unit is furnished with advanced machines and tools that help us in meeting every demand of our clients. These processes are supervised by our professionals who have rich experience and knowledge in the domain. 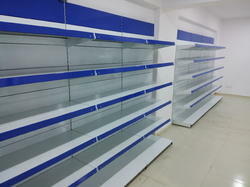 We are offering a wide range of Double Sided Supermarket Display Rack. 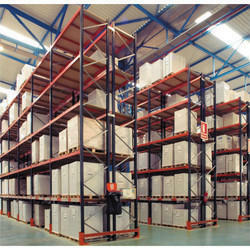 We offer Conventional Pallet Racking System to our clients.